Dermatitis, also known as eczema, is a group of diseases that result in inflammation of the skin. These diseases are characterised by itchiness, red skin, and a rash. Atopic Dermatitis (eczema).Usually beginning in infancy, this red, itchy rash most commonly occurs where the skin flexes – inside the elbows, behind the knees and the front of the neck. When scratched, the rash can leak fluid and crust over. People with Atopic Dermatitis may experience improvement and then flare-ups. 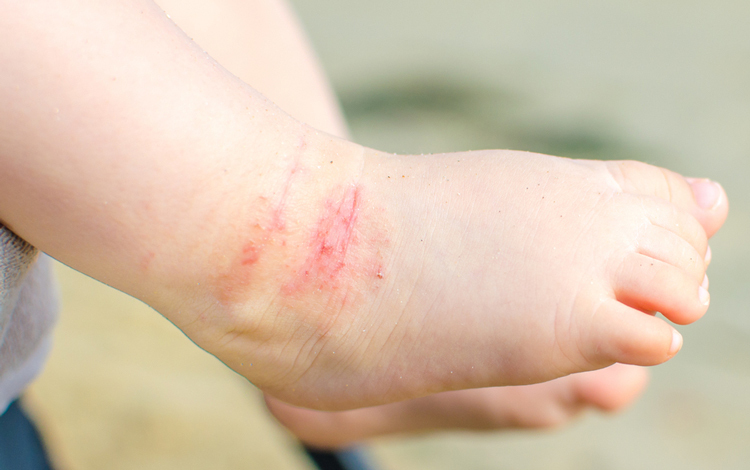 Contact Dermatitis.This rash occurs on areas of the body that have come into contact with substances that either irritate the skin or cause an allergic reaction, such as poison ivy, soap and essential oils. The red rash may burn, sting or itch. Blisters may develop. Age:Dermatitis can occur at any age, however, Atopic Dermatitis (eczema) usually begins in infancy. Allergies and Asthma:People who have a personal or family history of eczema, allergies, hay fever or asthma, are more likely to develop Atopic Dermatitis. Occupation:Jobs that put you in contact with certain metals, solvents or cleaning supplies increase your risk of Contact Dermatitis. Being a health-care worker is linked to hand eczema. Health conditions:You may be at increased risk of Seborrheic Dermatitis if you have congestive heart failure, Parkinson’s disease or HIV. The treatment for Dermatitis varies, depending on the cause and each person’s experience of the condition. Speak to your dermatologist to decide on the best course of action, such as applying corticosteroid creams or phototherapy.